9.25" x 9.25" x 1"
This is a ceramic souvenir plate from Disneyland depicting the lands of the park and famous attractions. This plate is from the late 1950s or early 1960s and measures 9.25" x 9.25" x 1". 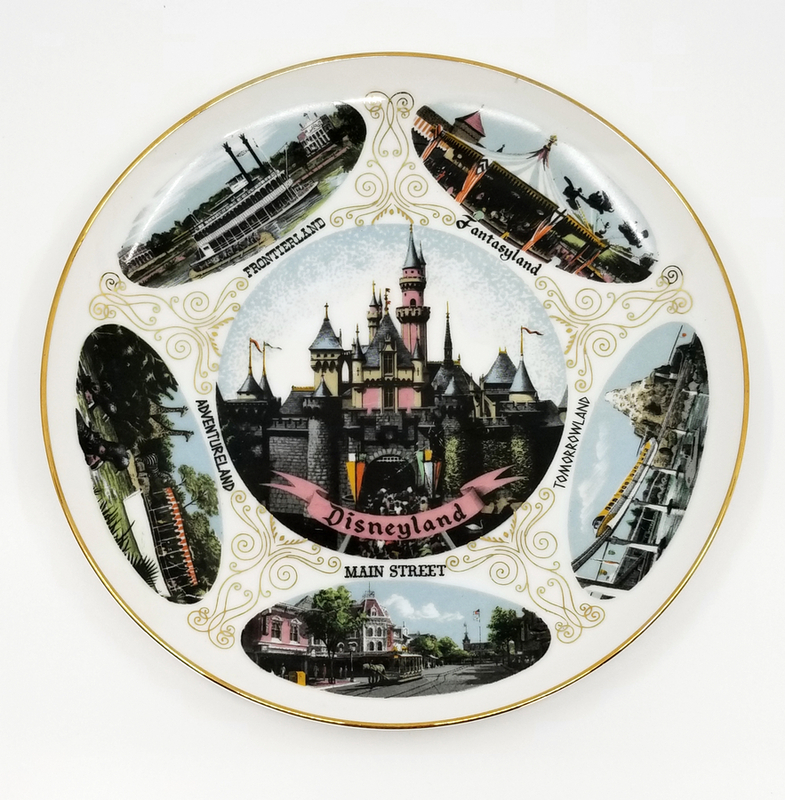 The imagery around the edges of the plate shows the Jungle Cruise in Adventureland, the Main Street horse drawn streetcars, the Monorail and Matterhorn in Tomorrowland, King Arthur Carrousel and Dumbo ride in Fantasyland, and the Mark Twain Riverboat in Frontierland. The center of the plate has a large image of Sleeping Beauty Castle. 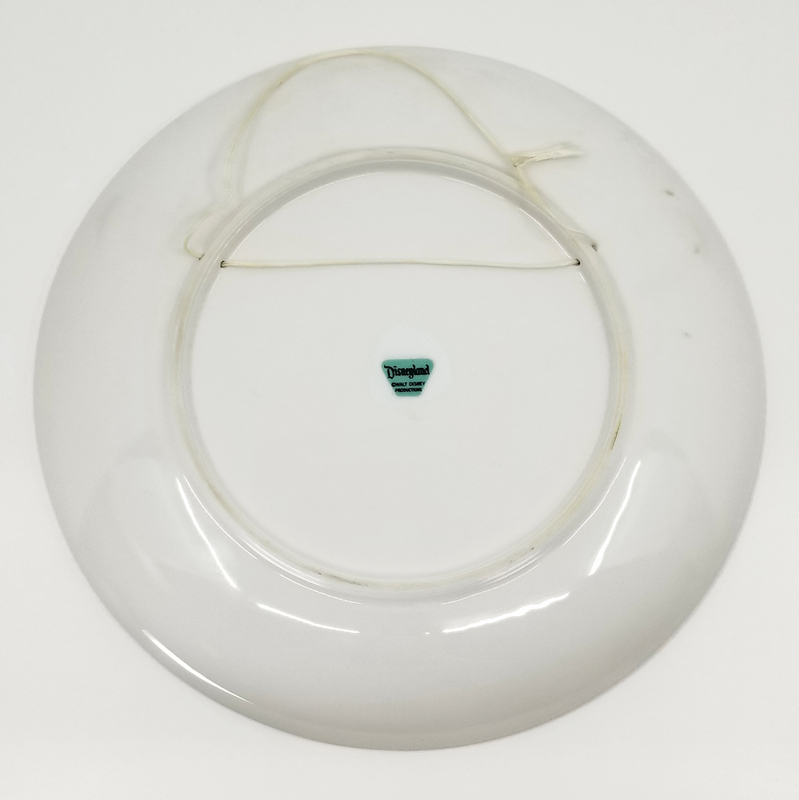 The plate is in excellent condition with a piece of string running through the holes in the back side of the plate to allow it to hang.